Why did past customers choose to work with you? Why did they decide to hire you, and what did you do during your selling process that made them a customer? They worked with you because there was something you did or said during the sale that communicated to them something that was unique that separated you from any other competitors. Whether you knew it or not, you may have communicated your “unique selling proposition”. Wikipedia defines “the unique selling proposition” as a marketing concept that was first proposed as a theory to explain a pattern of successful advertising campaigns in the early 1940s. It states that such campaigns made unique propositions to the customer and that convinced those customers to switch brands. Today, a number of businesses and corporations currently use USPs as a basis for their marketing campaigns. There are some very well-known marketing campaigns that you are well-aware of. We could look at Domino’s Pizza as an example, but we can’t use it as a model. We can’t deliver fresh, hot remodels in 30 minutes or less, or it’s free. That sounds silly, but we all remember that tagline. The purpose of a good USP is that it differentiates your company from a competitor. In most markets, there are a host of other remodeling companies, but your specific product or service may be viewed to be a market leader due to the innovation of an original USP. When I ask remodeling companies what makes them unique, I hear things like “we are honest”, “we do quality work”, or “we have skilled trades-people on staff”. Is there any successful company that doesn’t do this? I bring this up because these are not examples of good USPs. These characteristics are part of any successful remodeling company. These are not unique selling points. There is no innovation in stating the obvious. If you want to begin to define a successful USP, you have to dig a little deeper. In every remodeling company, there is a combination of skills or personalities that make each company unique. 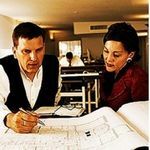 It could be an owner’s ability to communicate trust to homeowners; it could be a specific skill-set of a company that delivers beautiful historic renovation work; it could be a specific building method that insures quick completion within a remodeling niche. Every company is unique is some way. It’s not enough anymore to tell a homeowner that you are honest and do quality work. If you want to define your USP, begin to reach out to some of your best past customers. In a market like this, you should be doing this anyway. If you have worked for them within the last 18 months, give them a call and ask them about their project. Are there any questions or complaints they have? Is there any warranty work that needs to be done? These calls are some of the best marketing calls you will ever make. As these are some of your favorite customers, they will enjoy hearing from you. Talk about your families, and re-establish contact. Your call will remind them why they hired you to begin with, and bring your company back into their awareness. That is really what you want any marketing effort to do. Then go one step further. Let them know that you are working on a new marketing campaign and could use their help. Ask them if you could take them out to lunch or dinner, and during the meal, let them know that you want to know why they hired you to do their project. When they were planning their project, what is it you did or said that convinced them to hire you? When you actually meet them, allow at least an hour for your meeting. Your best customers will want to talk and tell you what you did to get their business. Duplicate this process with 4 or 5 of your best past customers. After doing this 4 or 5 times, a common theme should emerge. This common theme may be your unique selling proposition. There is something to be learned from doing this. If there are 4 or 5 past customers who share a common theme of why they worked with you, ask yourself if there more potential customers who are looking for those same unique abilities? The answer should be yes. Your USP separates you from your competition. It states what makes your business and your approach to business unique. Don’t try to create this without consulting past customers. Let them tell you what your UPS is. They will be happy to share that with you.